Our mission is to help young children in lower-income families grow up and achieve economic success. Our vision for the future is that children grow up and achieve economic success so that their children are not born into poverty. Our method is to combine high-quality early childhood education with innovative family services and resources. Our two-generation approach aims not only to prepare young children for future success in school, but also to help their parents succeed through programs designed to increase parenting skills, employability and earning potential. We believe every child and every family deserves the same opportunity for success. Our method is to combine early childhood education of the highest caliber with innovative family financial and health services and targeted community improvement efforts. We combine effective early childhood education with supports that promote nurturing parenting and family financial stability. 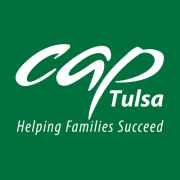 CAP Tulsa accepts donations. Donate Now. Would you recommend CAP Tulsa?